In the world of trading, things would have become highly complicated without brokers and the whole system would have collapsed. They charge a small fee for making transactions (both buy and sell) on your behalf. Financial markets run efficiently thanks to brokers. As the middle-man, a broker is the enabler for every trade that you want to make. Hence, a broker is quite important to every investor. In the world of trading, things would have become highly complicated without brokers and the whole system would have collapsed. They charge a small fee for making transactions (both buy and sell) on your behalf. Stock brokers are the registered and licensed representatives of an exchange in the stock market. They help the people by putting forth their request in the share market through the network of their broking firms and also help the transactions get settled. Besides investing in stocks, they can also assist in purchasing and selling of financial assets at in exchange for a fee (brokerage). All the paper work is done by them and in return for all their assistance, they charge a fee, called brokerage. Based on the terms of the services availed, brokerage varies amongst brokers. Your broker is responsible for providing you with regular share trading tips and correct answers to all the questions that you ask regarding subjects such as trading accounts, portfolio securities and online trading. Besides offering guidance on how to buy shares online, he should also recommend the best online trading sites, to enable to grow yourself in the stock market. Your broker should be well-equipped to help you attain your investment objectives once you provide them with the necessary information about your financial goals. They should also offer you with the option of tax saving investments along with the short term investment options which will help you to accomplish your financial goals. The broker should be able to carry out your decisions at the earliest with regard to trading in the securities of your choice. Not executing orders in time may decrease profitability and moreover, increase losses. Due to technical and human errors, you may often run into tiny problems due to no fault of your own. Choose a broker which provides client support and solves all such problems at the earliest in a hassle-free manner. Personal brokers take care of all your investment needs. They also expose you to platforms that carry out fundamental research and also provide you with tools for technical analysis. 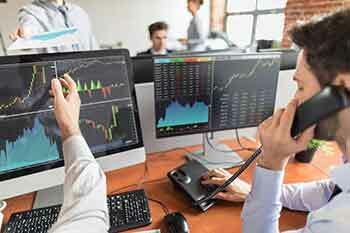 Today, most of the people look for online stock brokers who can share market basics with them in the course of trading.